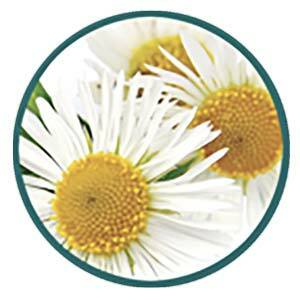 Real Time Homeopathic LIP Balm delivers rich moisture, while offering protection from harsh weather. 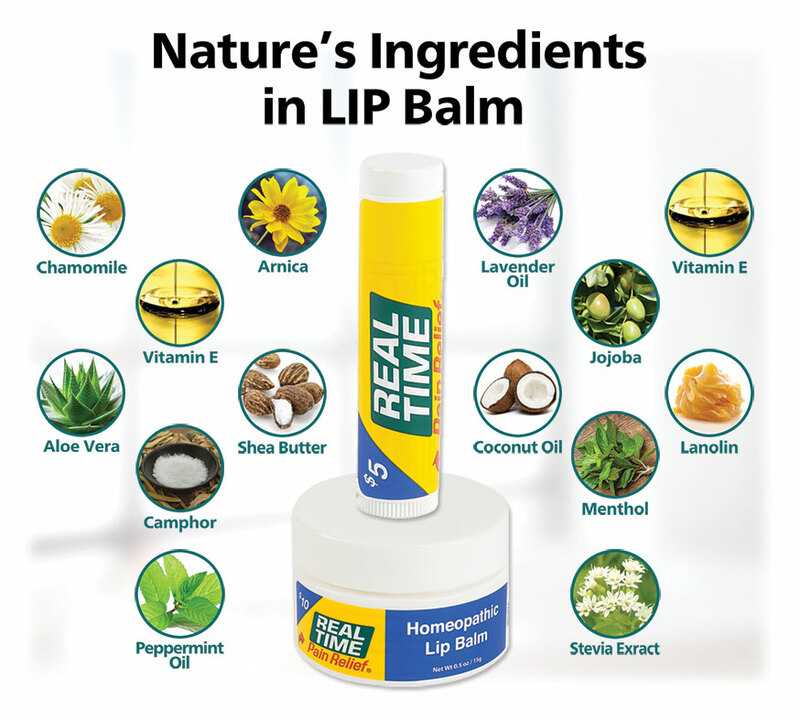 Made with 13 of Nature’s Ingredients including Arnica, Jojoba Oil, Lanolin, and Aloe Vera, Real Time Homeopathic LIP Balm soothes lips within minutes of application. 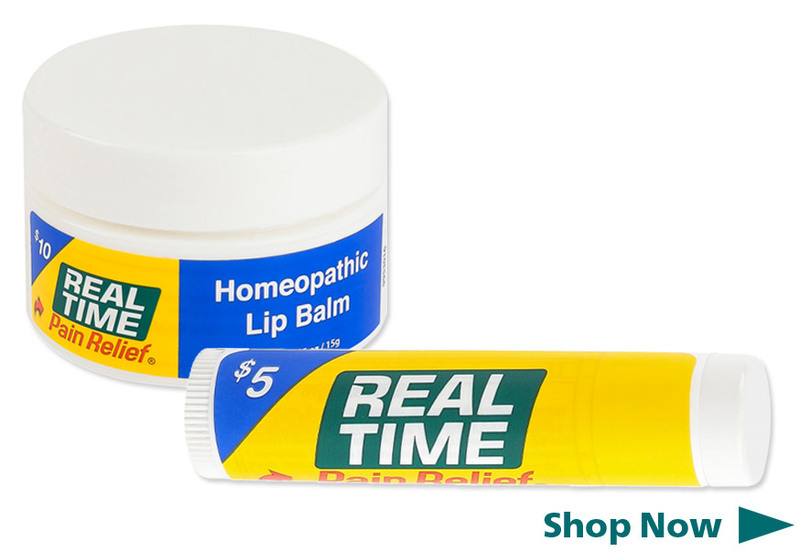 Give your lips the Nourishing Care of Real Time Homeopathic LIP Balm! Comes in a Jar or Stick. 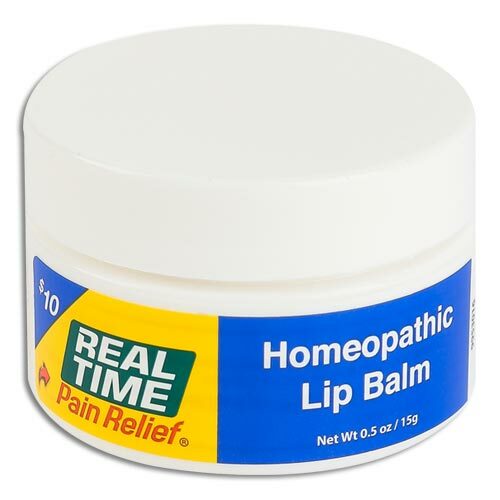 Real Time Homeopathic LIP Balm is specially formulated to hydrate dry, chapped lips and to provide temporary relief for the pain and discomfort of chapped and cracked lips. 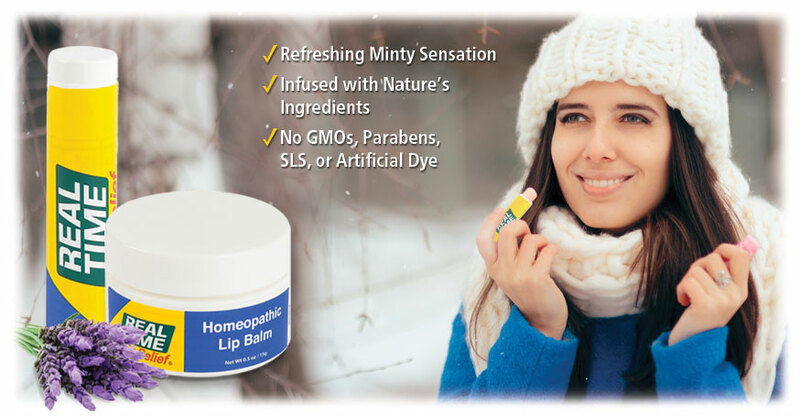 Real Time Homeopathic LIP Balm contains a low amount of Menthol, Camphor, and Peppermint Oil, which gives it a minty smell and creates a light, refreshing zing on the lips. 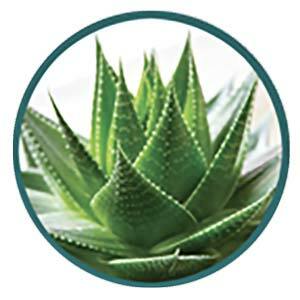 It is free of artificial fragrances. 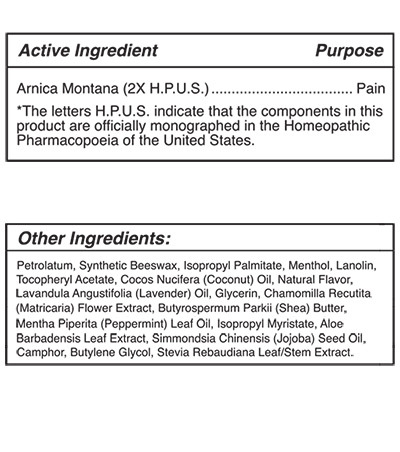 Real Time Homeopathic LIP Balm contains Arnica and 12 other beneficial ingredients from nature that nourish and soothe your lips. "For years I have gotten painful cracks in my lips every winter. I have tried so many balms for my lips, but they wear off so fast. Real Time's new Lip Balm is amazing. The moisture lasts for hours. After a few days using it, the cracks disappear!" "Your new lip balm is amazing! 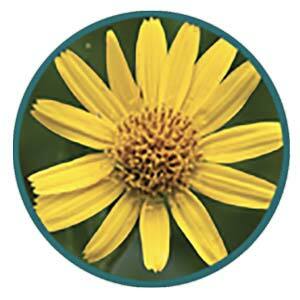 It makes my lips soft and stops the inevitable peeling that always starts when the seasons change." What’s Inside Real Time LIP Balm? How to Use Real Time LIP Balm? What sizes of Real Time LIP Balm are available? 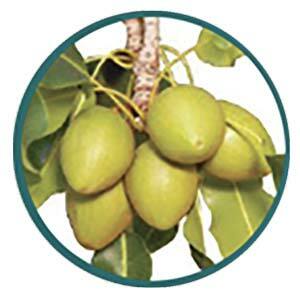 Click Here to Buy Lip Balm Now! 7 years ago, I began to experience overall body pain. In just 12 days on RealTimePainRelief I began enjoying living again! Doctors couldn't find anything wrong with me but I was definitely not enjoying living like my old self.